Leisure and Tourism Solutions owned by tourism industry legends George Josevski and Polly Gibson. 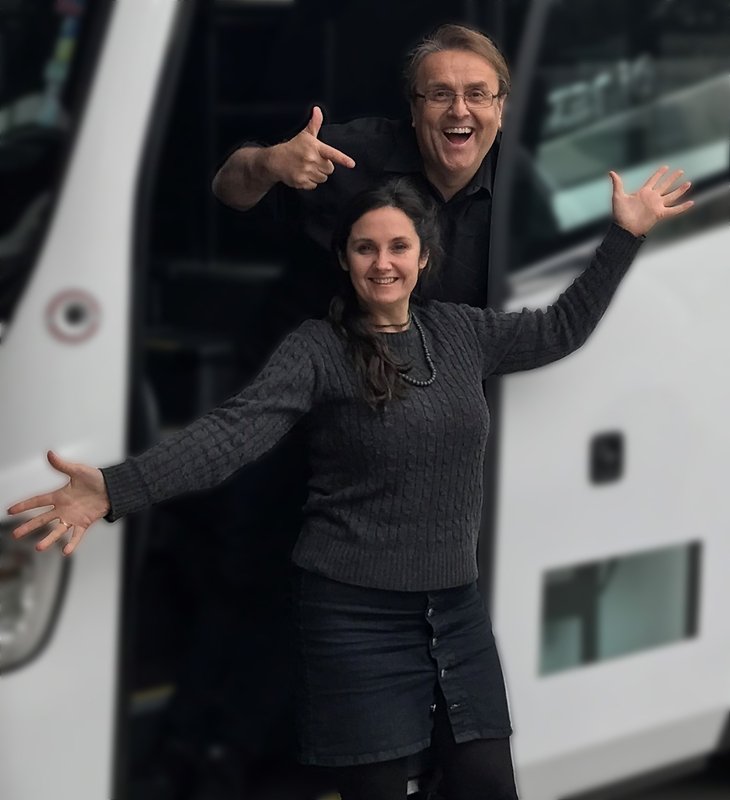 After more than 30 years working in Australia’s international tourism sector, including senior marketing positions in Melbourne’s backpacker and group tour industry, working with coach operators and attractions – George eventually became an entrepreneur and built a successful award winning brand with Bunyip Tours. Alongside Polly’s expertise and passion she brought to the business. It’s safe to say George and Polly know the international tour business in Australia like the back of their hands. George is most well known in the tourism industry, as the founder of the incredibly popular and successful Official Neighbours Tours and Neighbours Nights, a completely new concept in tourism in its time, combining the entertainment/TV and tourism industry. Subsequently, he purchased the small tour operators Penguin Island tours and Otway Discovery tours, followed by Bunyip Bushwalking Tours, which quickly developed into renowned small group eco tour companies. ‘Bunyip Tours’ was awarded Hall of Fame status at the 2010 Victorian Tourism Awards, with its third consecutive award win as Victoria’s best Tour/Transport Operator. As well as awarded Gold in 2016 as Major Tour & Transport Winner with a Silver in 2017 in the same category. George and Polly work closely with most Victorian regional bodies; Parks Victoria, Tourism Victoria, VTIC, and are members of the Lynette Bergin Selection Panel. They are credited in the Victorian tourism industry for their passion, innovation and resilience in all sectors of the market. Their fresh approach to explore and successfully open regions to the International markets has been recognised throughout the industry.